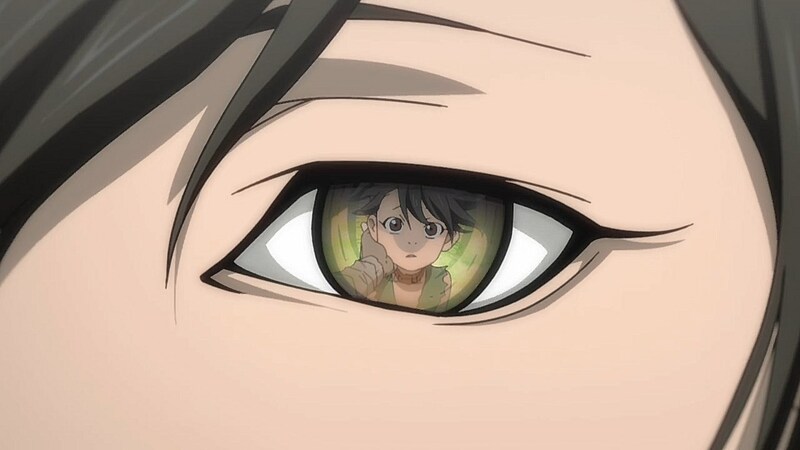 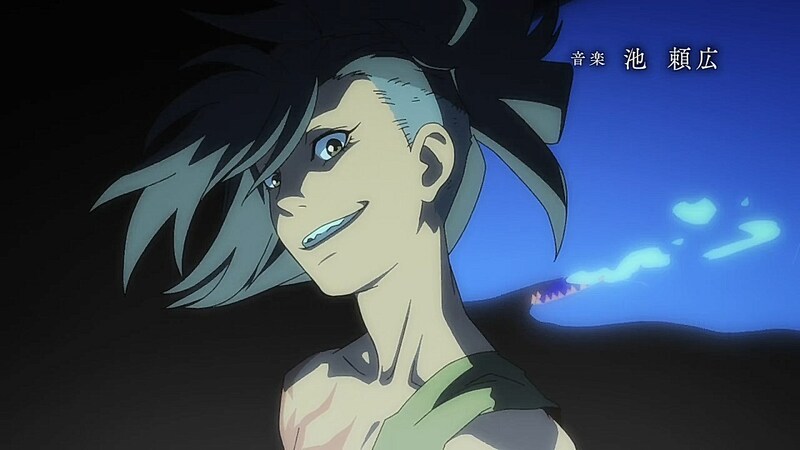 After a week-long hiatus, Dororo returns not just with a new pair of OP/ED sequences, but a plotline that drives forward the progress that Hyakkimaru and Dororo have made since they teamed up. 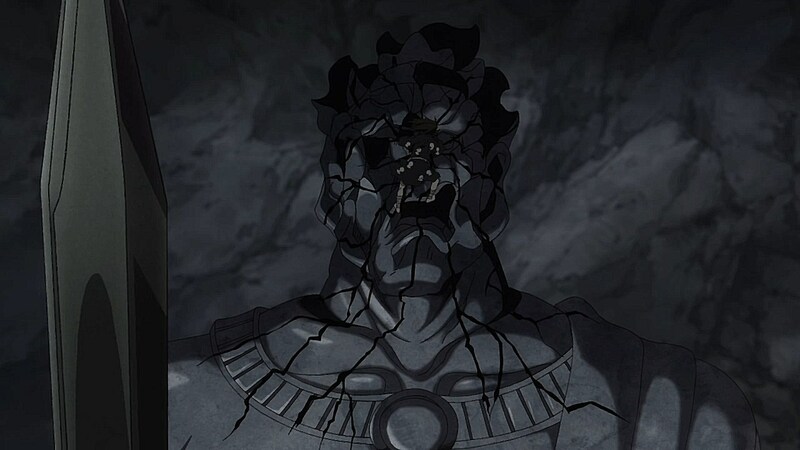 Through their encounter with the carver Okaka, it solidifies the overall theme behind what is lost and what is gained. 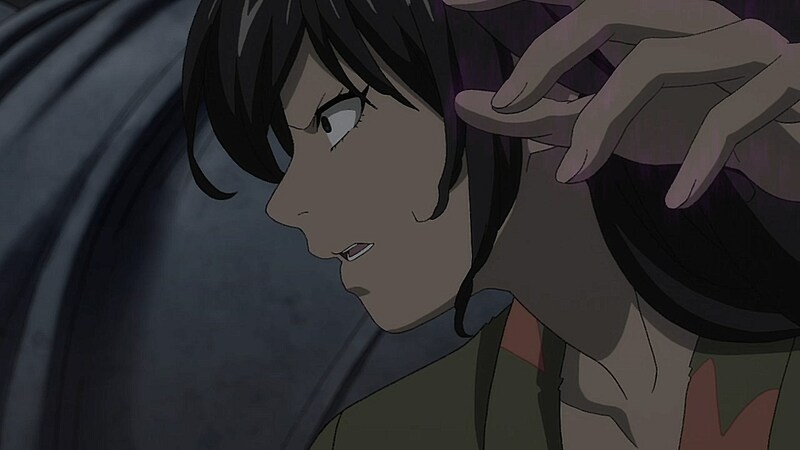 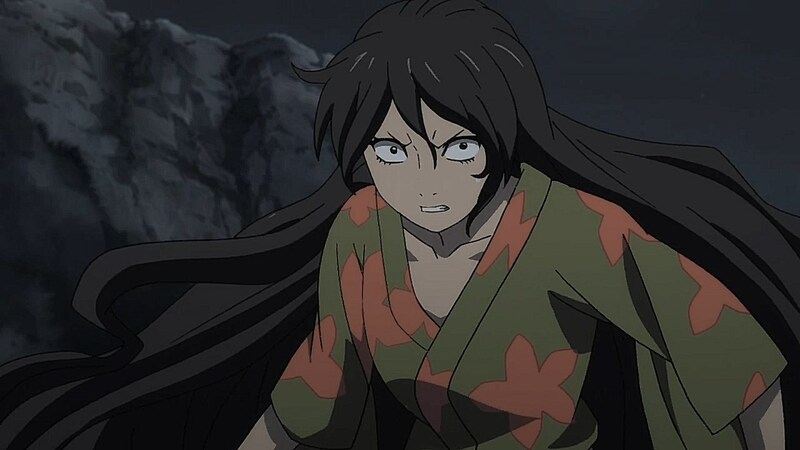 Okaka is an intriguing demon to begin the second cour with as her ability to switch her face aims to open up the vulnerabilities within Dororo and Hyakkimaru. 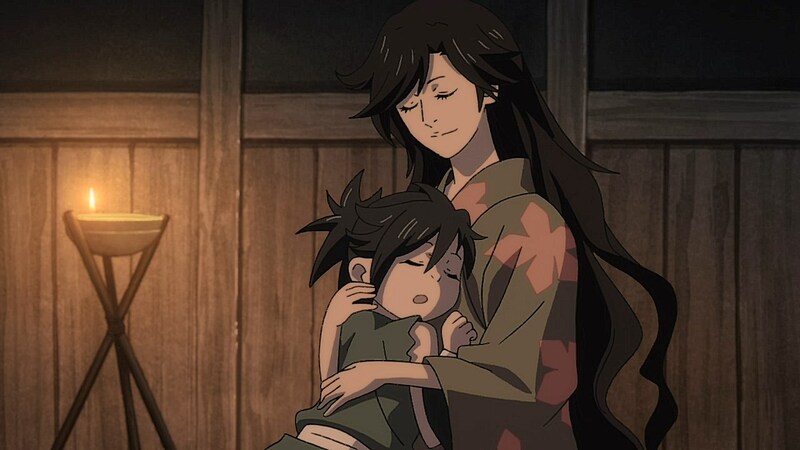 For Dororo, the longing she has towards her mother and the attachment she has towards motherly figures automatically pulls her within Okaka’s grasp. 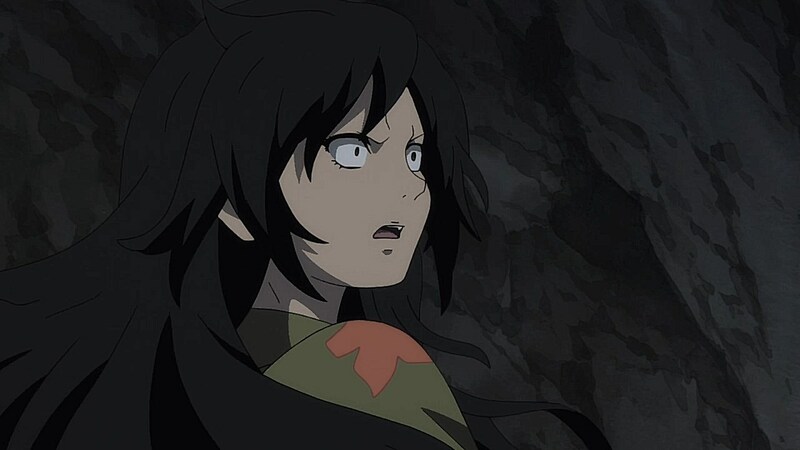 Because Okaka took on the form of her mother around Dororo, she found herself letting her guard down as she went as far as to ask if she could call her “mama” and treats Okaka as such when she gives her approval. 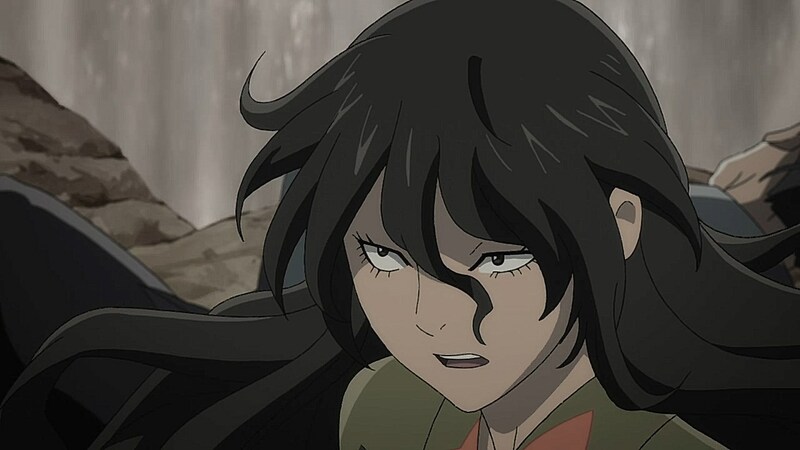 Her attachment is to the point where it resonates far more strongly with Okaka when Dororo tries to convince her not to collect Hyakkimaru’s face. 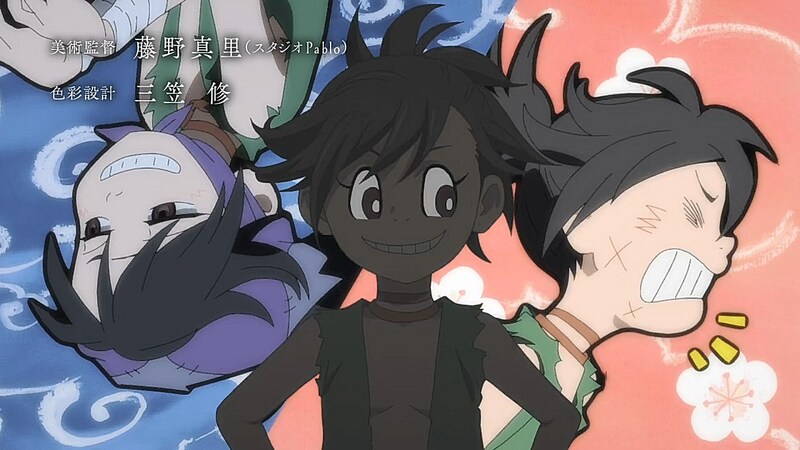 As Dororo continues to treat Okaka as if she’s her mother, she starts to show her own signs of vulnerability as she is taken aback by how quickly she opens up to Dororo’s pleas to consider those who have had their faces removed and value the face she does have. 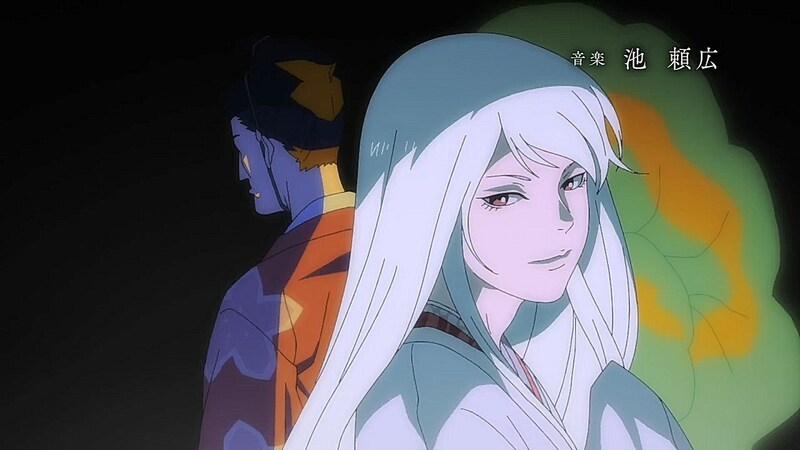 Hyakkimaru’s inability to see Okaka’s face when she transforms into his mother clued Okaka in towards the idea that he’s never seen his mother’s face, but it also lends itself to Hyakkimaru’s understanding of his own mother. 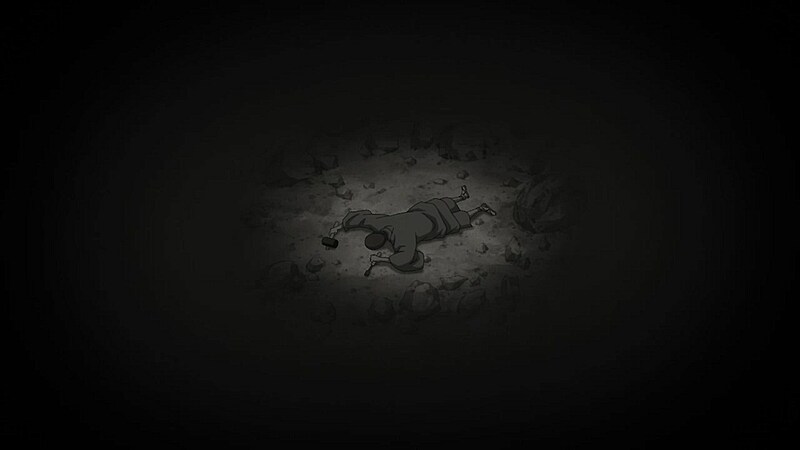 Where the clearest memory he has of his mother is her words “I cannot help you” that she had just told him and continue to haunt him as he makes his way towards Okaka’s residence. 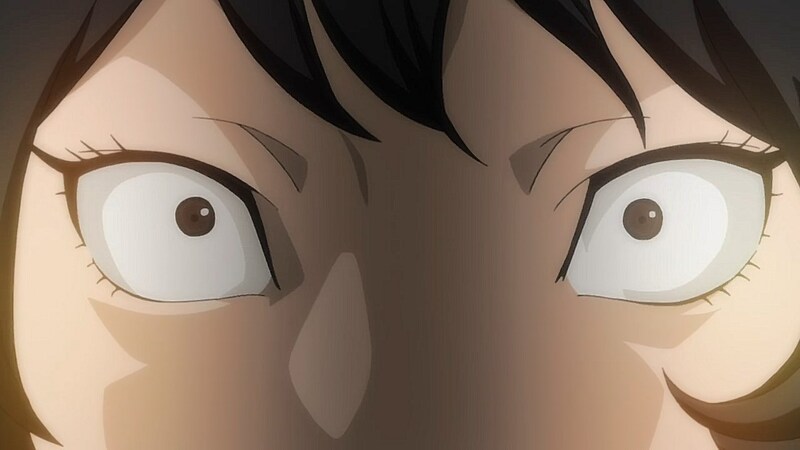 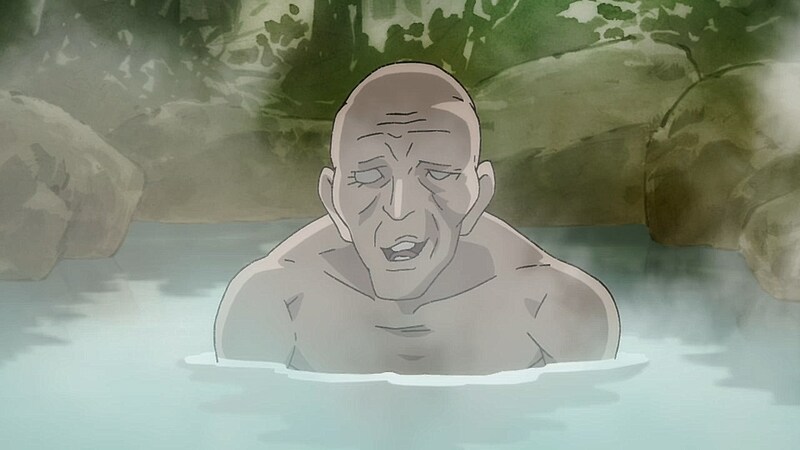 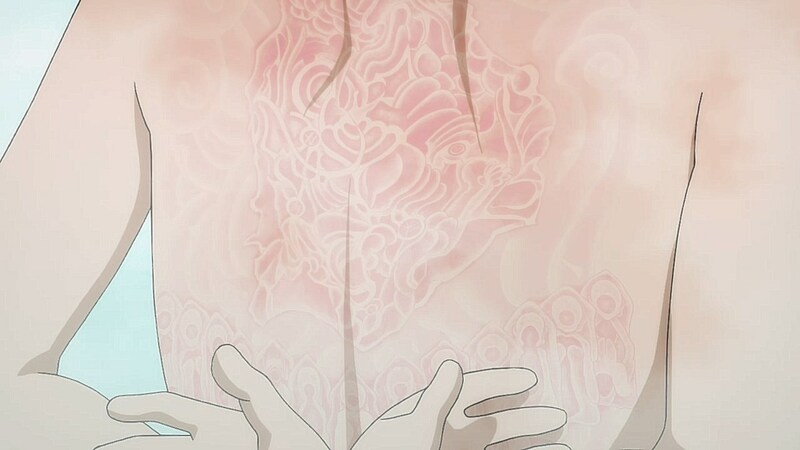 Okaka’s pursuit for collecting the faces of grown men also draws attention towards the anime’s theme of loss. 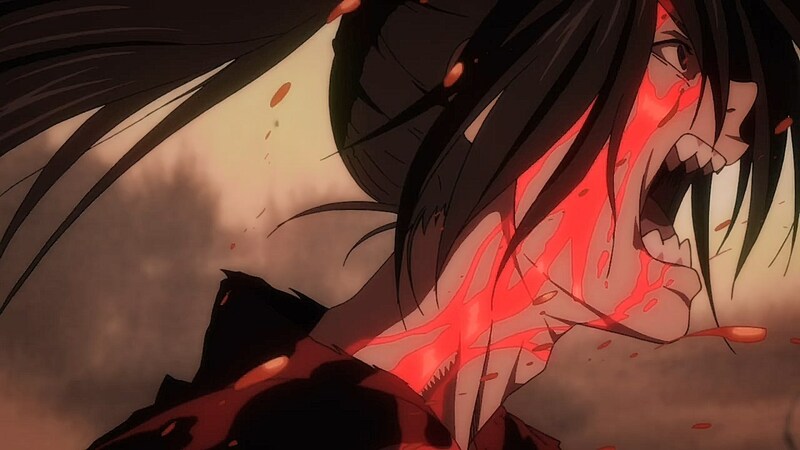 It’s no coincidence that Okaka is drawn towards taking away faces as the carver’s vengeance hungers to take away the abilities and limbs of others just as other demons have taken Hyakkmaru’s limbs. 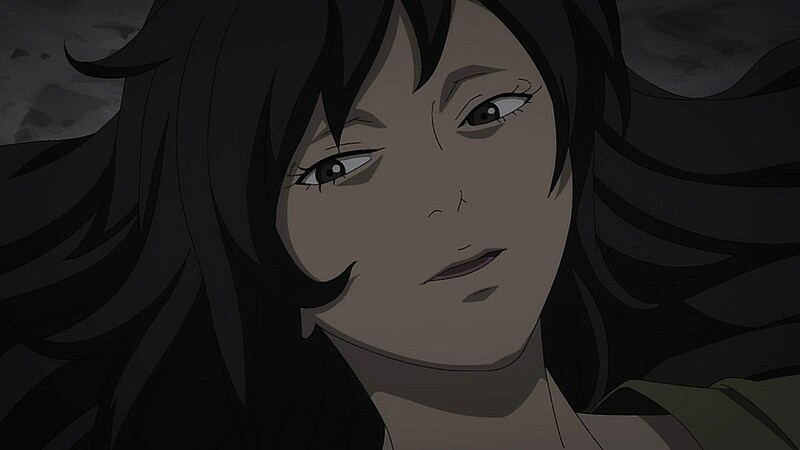 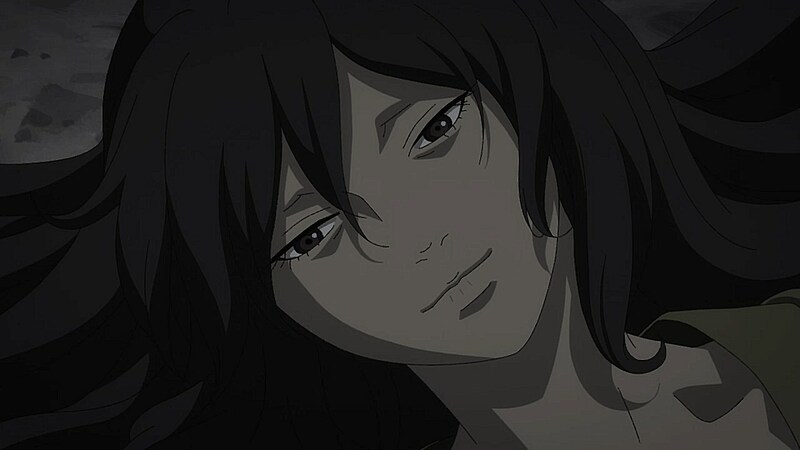 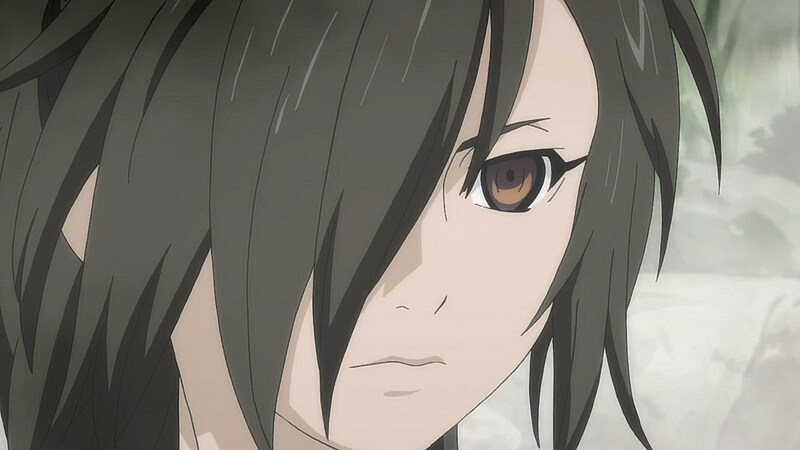 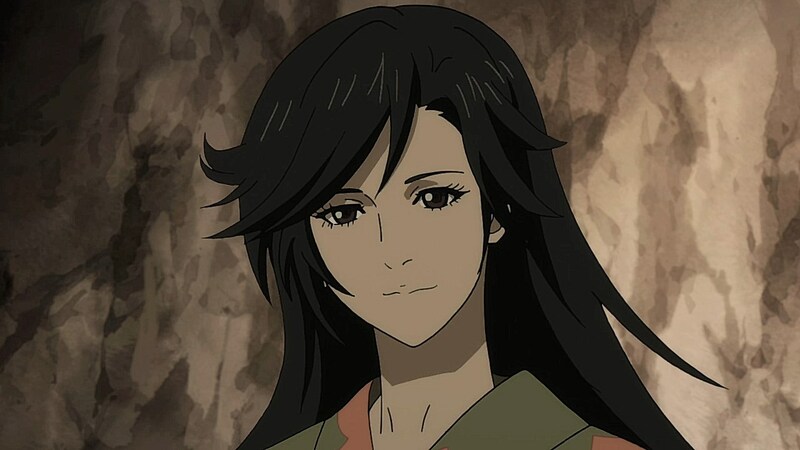 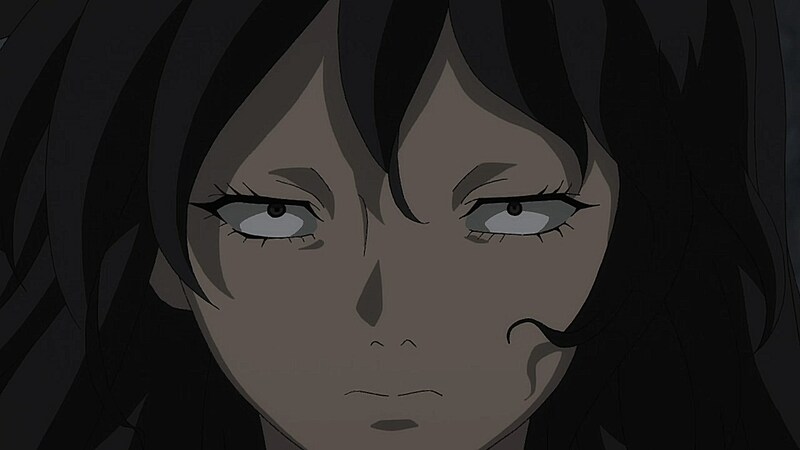 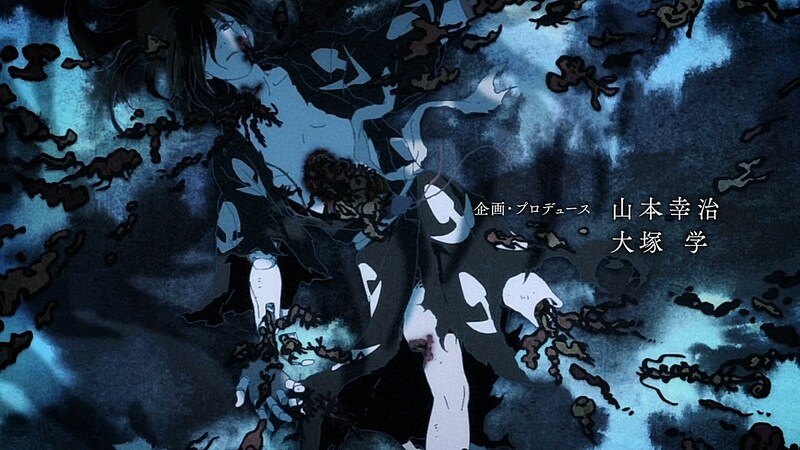 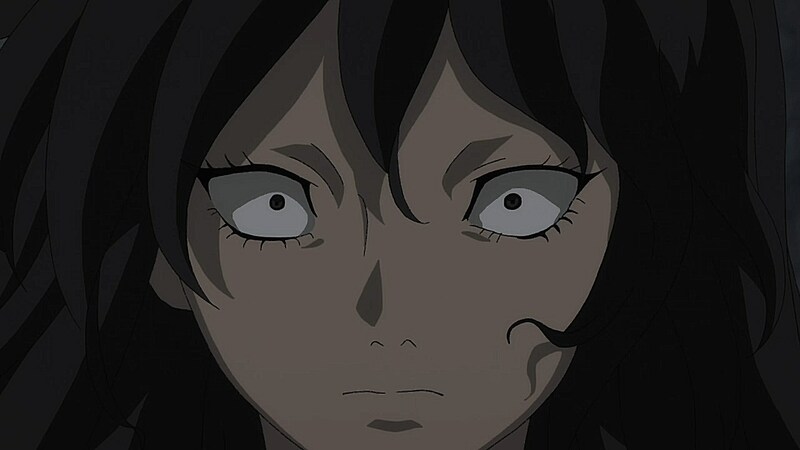 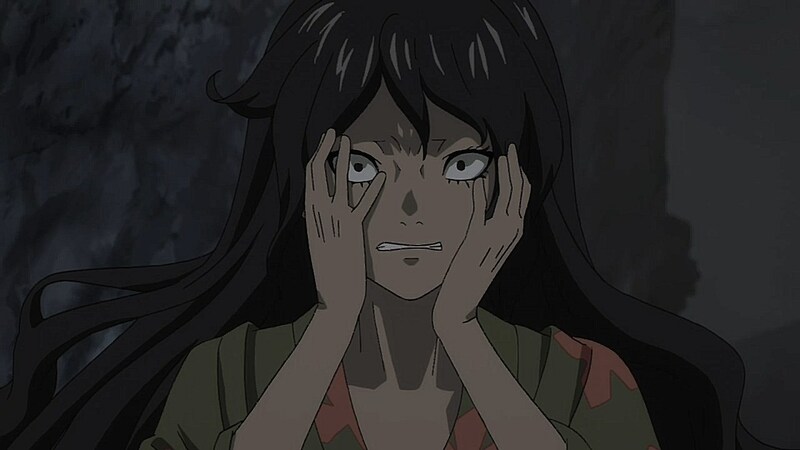 On top of this, Dororo’s argument to have Okaka reflect on those who have lost their faces has her contend with reflecting on people like Hyakkimaru who have had to live with the pain of living without a face, vision, sensations, and other experiences that could only be had with all of the capabilities a human can have. 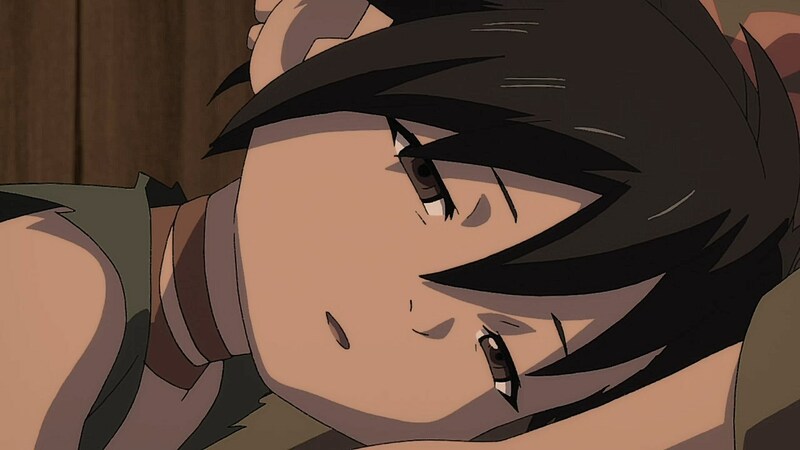 It makes it so that, when Okaka can feel and recognize the features on Dororo’s face, it’s all the more heartbreaking as it has been the first time that she’s ever taken the time to appreciate the human features of a face without hunting down grown men to remove their faces. 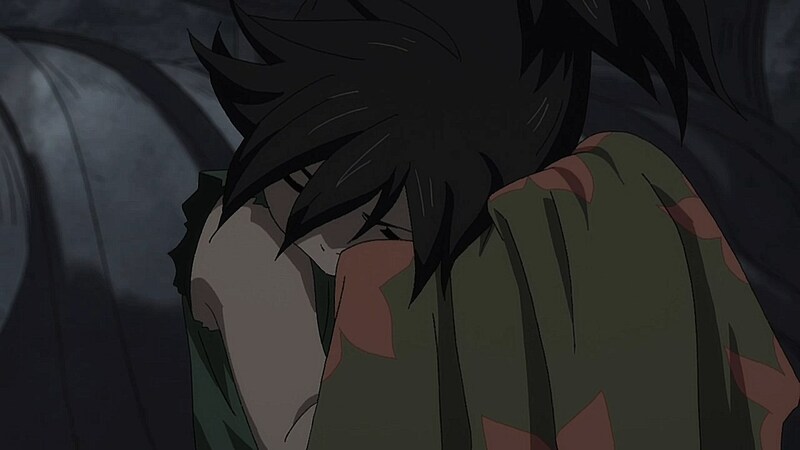 It’s great to see that Dororo continues to hold strong even after the first major encounter that Hyakkimaru has with his family. 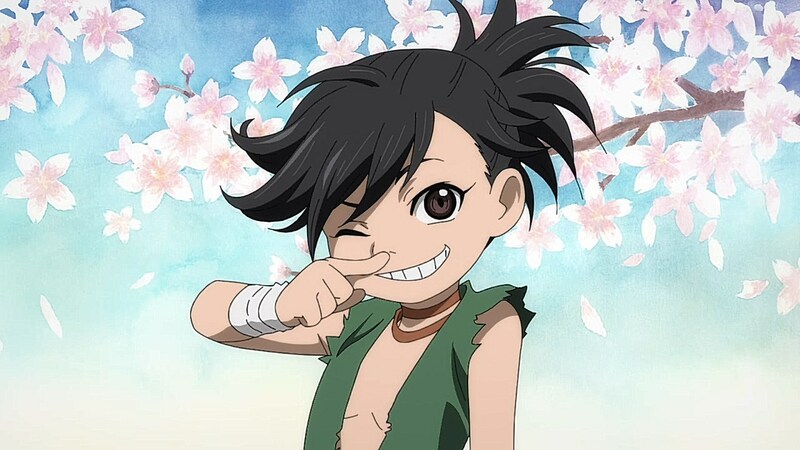 The story with Okaka was a great way of both re-introducing us to Hyakkimaru’s journey as well as showing us how far that he and Dororo have come since he had only regained his own face. 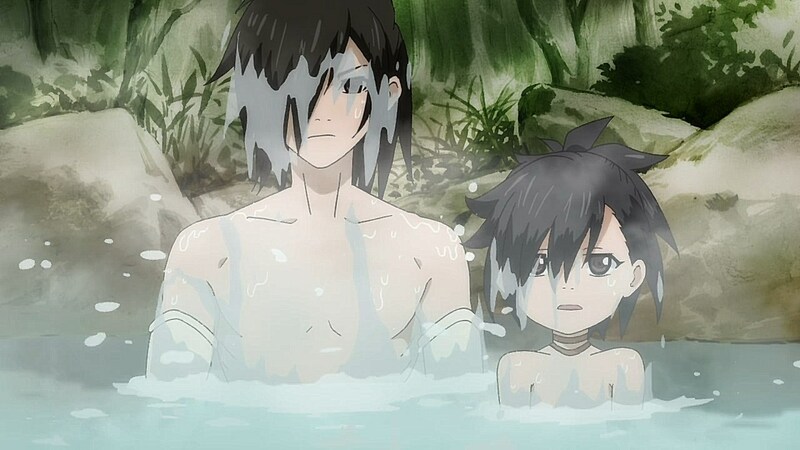 Next time around, we should find out the mystery of what the map on Dororo’s back could mean and what it entails for Hyakkimaru’s mission to regain his lost body parts. 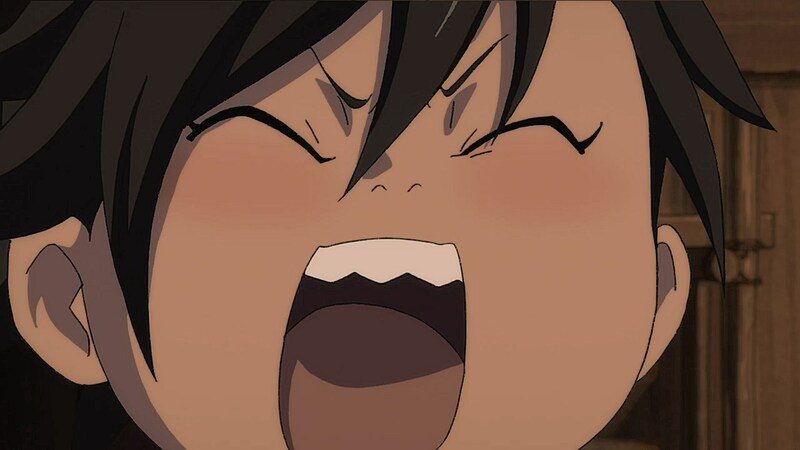 And, hey, it’s always great to hear Asian Kung-Fu Generation once again! 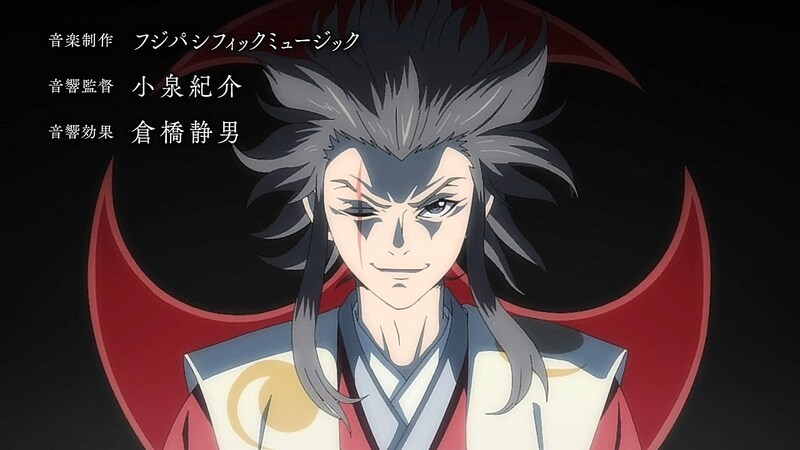 when i saw those guys on the new opening, the girl with the moth shadow and the guy with the shark, i couldnt stop thinking about samurai deeper kyo (the anime) where some of the enemies would turn into monsters. 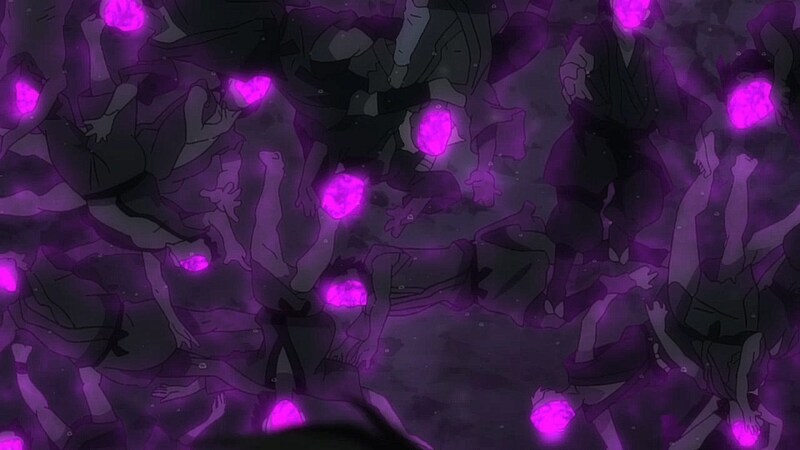 This episode adapts the Fair Fudou arc of Tezuka’s manga. 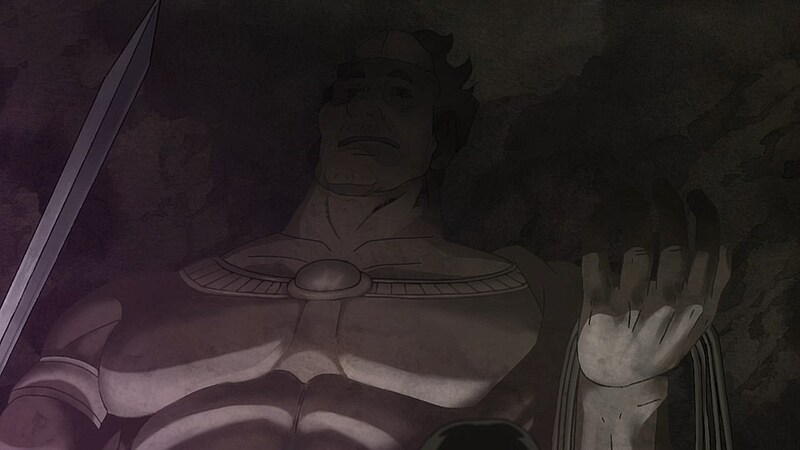 - The statue carver backstory is original, as is Okaka’s name. 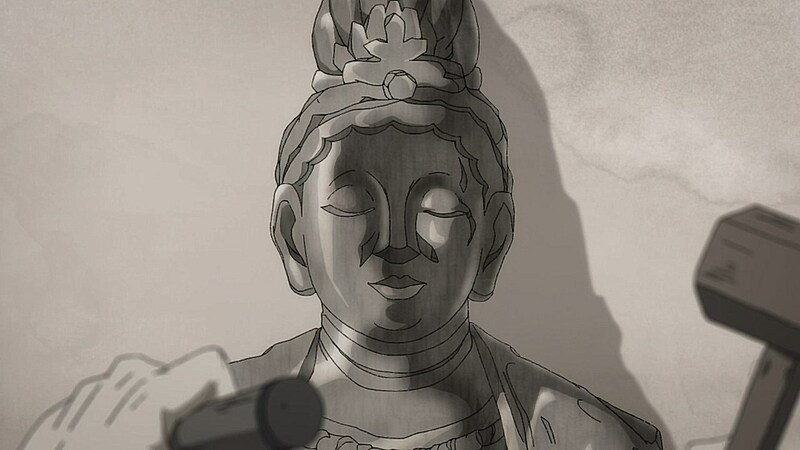 In the source she was a nameless spirit who served the statue’s demand for faces. 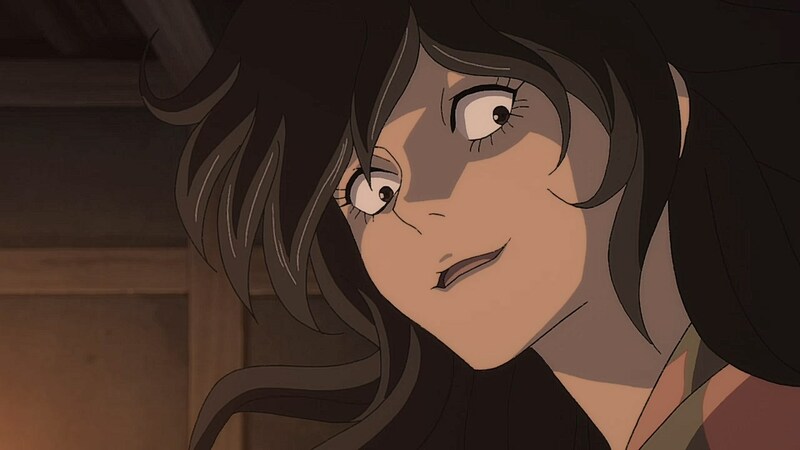 Her original plan was to sacrifice Dororo, but had a change of heart after seeing Dororo’s attachment to her. 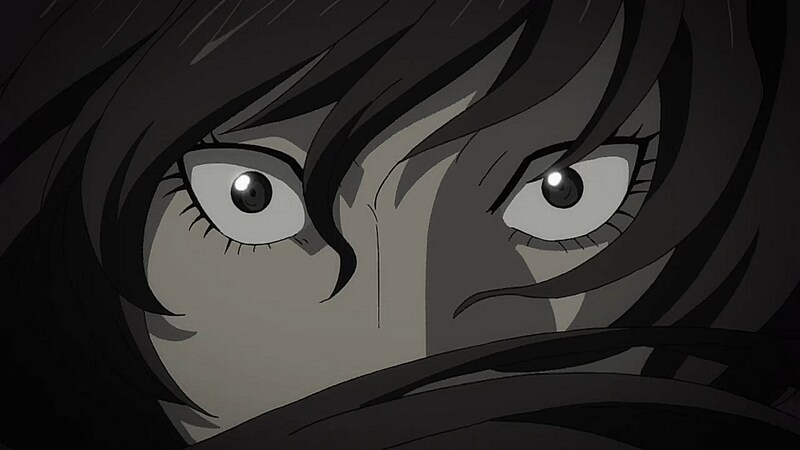 She helps Dororo escape, but the statue tracks them down with a water torrent and kills her for betrayal. 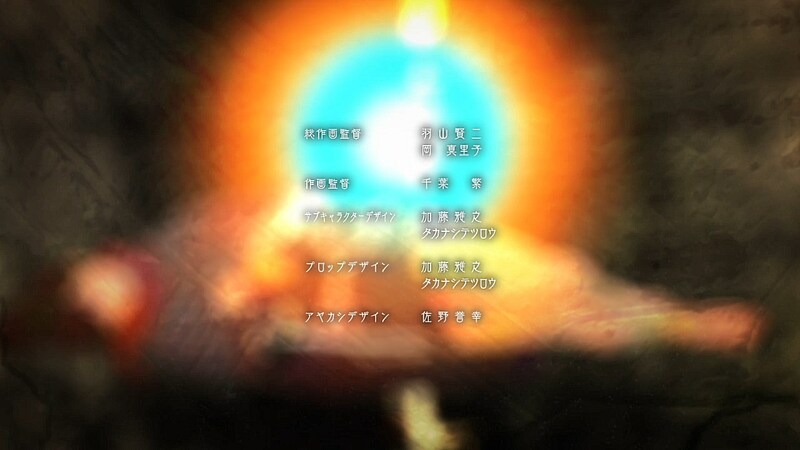 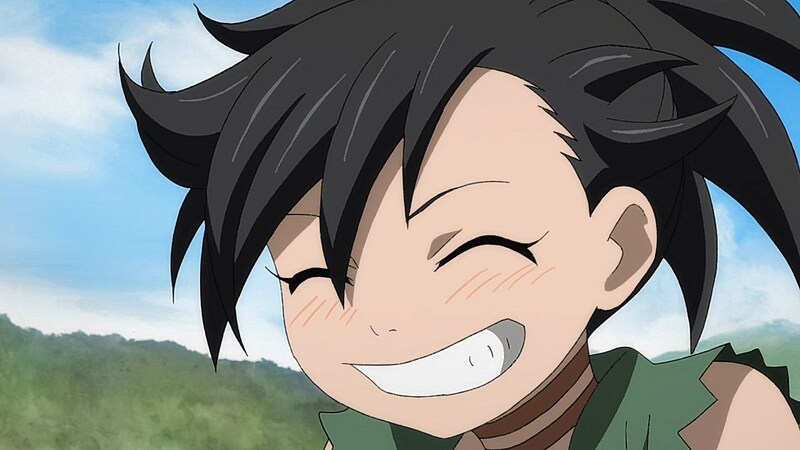 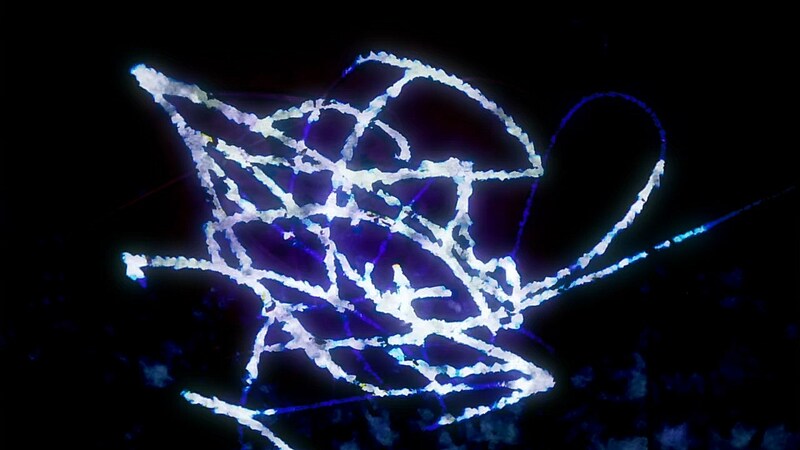 - The arc was more Dororo-centred. 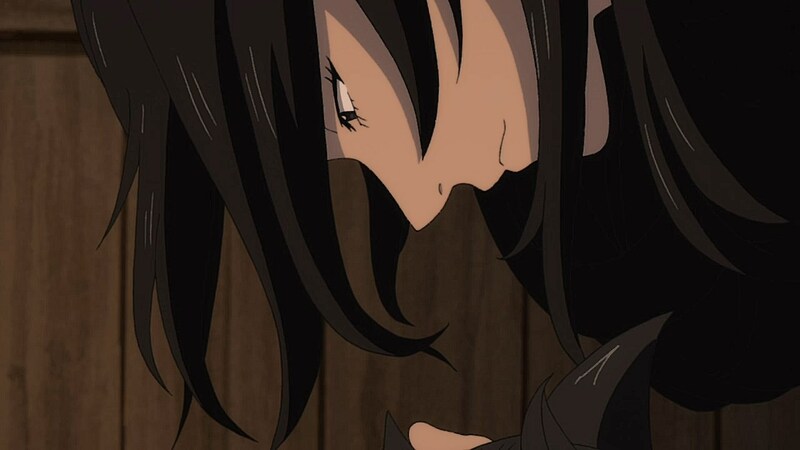 She had a falling out with Hyakkimaru after he refused to give her a sword, and she ran away in a tantrum. 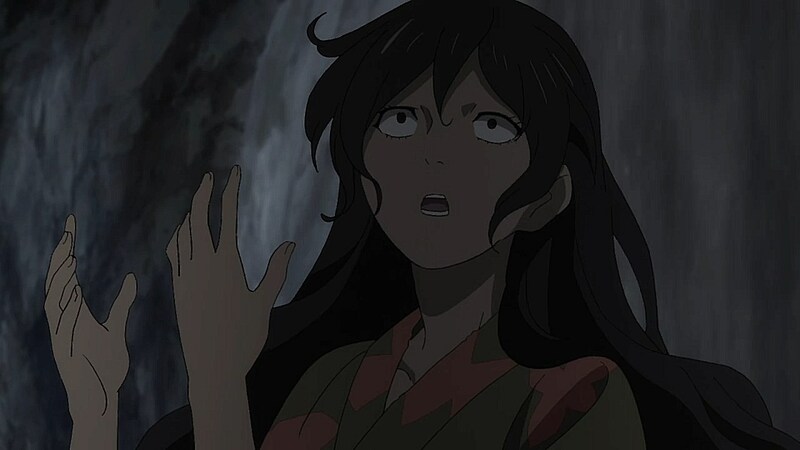 - Manga Hyakki only showed up at the last moment to save Dororo. 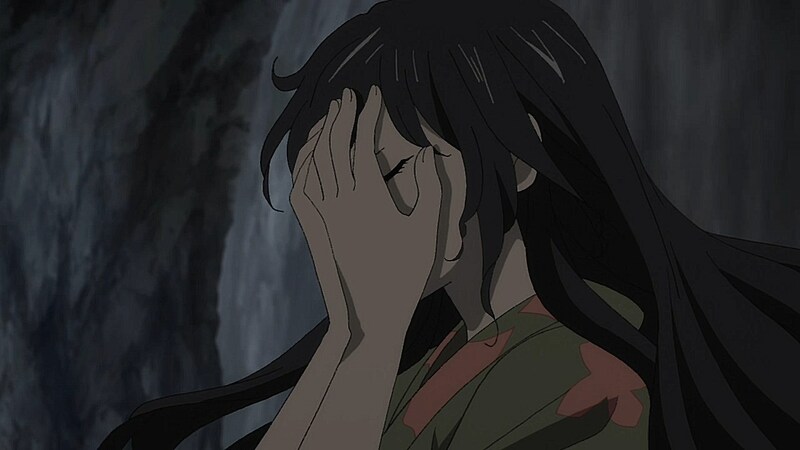 Consequently he never met Okaka or had any other exchanges with her. 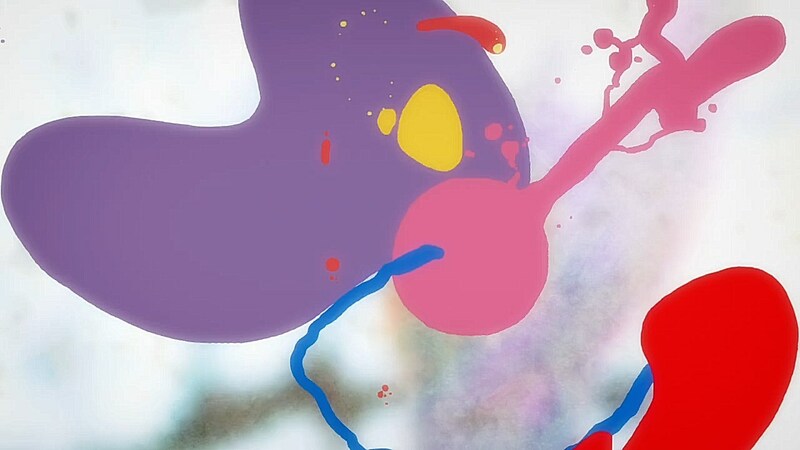 The red markings will play a major role later on.